End-of Life Care offers support for your animal companion, you and other family members when cure is not possible and your veterinarian predicts that the illness will progress in a way that your pet will have a limited time to live. 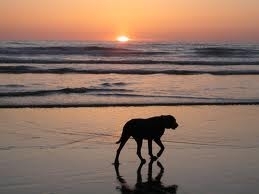 What Tranquil Tails’ Services will help my animal companion as they approach the end of their life? Many of the offered services will help your pet live with increased comfort and quality during their final days. Reiki, Massage, Aromatherapy and Acupressure can help with pain relief, mobility problems, poor appetite, nausea or diarrhea. Nutrition counseling can assist you in finding foods that nourish the body without adding undo stress. Flower Essences, Aromatherapy and EFT (Emotional Freedom Technique) can help your animal companion deal with the enormous number of changes they are experiencing and help relieve the anxiety that can come in the crossing process. What Tranquil Tails’ Services will help my animal family members deal with the changes in our household? Other animals in the home are often effected by the changes and stresses that come with the passing of one family member. Flower Essences can be invaluable in helping them deal with altered routines, emotions around the house and loss of a house mate. EFT (Emotional Freedom Technique) is also helpful in alleviating fears, anxieties, grief and other feelings that can lead to problem behaviors or even health issues if not treated. What Tranquil Tails‘ Services can help me get through this difficult time? As with our animal family members, Flower essences can help you better deal with the emotional stresses involved with hospice care. You will also know that you always have someone to talk to who understands the challenges you are facing and can help guide you to resources that may be of assistance.